Cost of dental implants in the USA is exceptionally high when compared to costs in neighboring Mexico. A popular dental tourism destination for Americans is Tijuana, where they can experience easy-on-the-pocket dental implant services coupled with equivalent levels of quality and care they would find at home in the US. Why Tijuana for Dental Implants? Tijuana is a border town close to the U.S. which means reduced traveling time. Americans can cross the border the same day and return to the U.S. With our complimentary shuttle service to and from the clinic to the border (on select packages), travellng time reduces even further. Mexican government offers subsidized education and the students don’t graduate with a lot of debt. To practice dentistry in the US, one needs to apply for a variety of licenses before proceeding further. Tariff regulations also apply on procuring dental equipment. The procedures require more investment from the dentists. Whereas in the Mexico low investment capital is required and Mexican dentists don’t pay compulsory malpractice insurance as their U.S. counterparts. TJ is right across the San Ysidro border and our clinic offers FREE transportation service from the border to the hotel/clinic. The border city has many tourist attractions including Tijuana Cultural Center and Playas de Tijuana. You can visit these places and our Destination Managers will assist in making travel arrangements. Where do I stay in TJ? TJ has some amazing hotels and places of stay. We have compiled a list of recommended hotels where you can stay south of the border. Is Mexico safe for tourists? Like in any other place, you should exercise caution while in the south of the border. The U.S. Department of State has issued a Traveler’s Checklist for the tourists traveling into Mexico. We have compiled a list of important phone numbers that are useful while travelling into Mexico. No, not at all! Most of our staff members and dentists speak English and Spanish. You can check out some Spanish words here along with their English translation. The San Diego International Airport (IATA: SAN) is closest to TJ, just about 15 miles north of the international border. From there you can reach the San Ysidro Port of Entry. If you prefer traveling in your car, you can park at the US side of the border or take it along into Mexico. San Ysidro Port of Entry is open 24*7. Phone: (619) 690-8800 A Mexican Insurance is compulsory. It can be brought on either side of the border. For those who want to travel directly to TJ, it has its own international airport (General Abelardo L. Rodríguez International Airport, IATA Code: TIJ). However, this is not preferred because of inadequate connectivity. Why Choose TJ Dental Center? 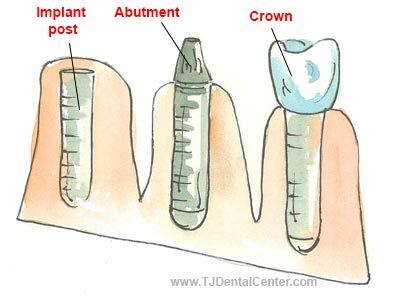 TJ Dental Center is one of the leading dental implant centers in Tijuana. Most of our clients visit us from the United States and Canada for unrivaled dental care by highly skilled dentists. We also offer full mouth restoration, orthognathic surgery, PFM bridges and cosmetic dentistry in Tijuana at discounted prices. We offer prices that are 75% less than in the United States, without compromising on quality. Our competent staff will assist you with your international travel plans. Our surgeons and dental implantologist are highly competent and qualified from the most prestigious U.S. dental colleges. They use the same technology as their U.S. contemporaries. Here is the video interview of our dental implant surgeon in Tijuana. TJ Dental Center offers complimentary shuttle service to its clients on select packages from the San Diego Airport or the Border. Dental Implants are small titanium tooth roots that are surgically inserted into your mouth to hold a set of replacement teeth, denture or bridge. Once inserted, dental implants are connected with the gum tissues and underlying bone in the mouth. Improved oral health, comfort and speech and appearance. According to American Academy of Implant Dentistry (AAID), dental implants preserve and stimulate natural bone. What is the difference between dental implant, bridge and denture? Artificial tooth roots made of titanium rods that are surgically inserted in to the jawbone. Dental bridges bridge the gap between the two natural teeth by replacing the missing tooth between them. Dentures are removable prosthesis to replace missing teeth. Natural tooth appearance. Not as natural as dental implants. Not as natural as dental implants. Does not require drilling of the adjacent teeth. Requires adjacent teeth to be drilled. Partial dentures rely on adjacent teeth for support but do not require drilling. Easy to clean and floss. Not easy to clean around the teeth. Can be removed and cleaned. Various studies have shown the ill effects of diabetes on our body tissues directly or indirectly, periodontal disease being one of them. For the success of dental implants, good glycemic control, preoperative and post-operative is required to achieve improved osseointegration in diabetics. According to a 2013 study by Rajender Kumar Dubey and colleagues, it is advisable to delay the placement of implant in poorly controlled diabetics till the control of diabetes2. Smoking and its effects on oral and general health are well known. Relationship between smoking and coronary heart disease, stroke, pneumonia, low birth weight, and various cancers has been established without doubt. It increases the risk of periodontal disease, root caries, and peri-implantitis, to name a few. Smoking also delays the process of wound healing and periodontal diseases. Some studies cite higher implant failure in heavy smokers (30–40 cigarettes per day). Smoking influences the complication rate of the implant3. According to a 2014 study by Torcato et al., implants in patients with bruxism "presented considerably more faults than implants in patients without bruxism (41% compared to 12%) 4." Patients are instructed not to blow their nose for 2 weeks after the surgery5. Studies conclude limiting of daily activities for initial 3 days following implant placement6. Bleeding, swelling, and nausea are relatively minimal and limited to the first 2 days post surgery6. Postoperative panoramic radiographs and CT scans are performed during and after the 6-month healing period to check whether the implant has integrated or not. What to consume after the implant surgery? Avoid foods that interrupt the recovery process; instead consume soft and liquid foods. Pureed fruits, such as bananas, peaches and nectarines are usually good choices. Avoid hard food such as pretzels and nuts. Consume oatmeal and soft cereals. Have soft bread, rice and mashed potatoes. Protein such as egg and fish can be consumed. Remember to cut or puree fruits. Keep hydrated and have plenty of liquids. Cook or steam veggies like carrots and broccoli. Dairy products such as milk, yogurt and cheese are good for consuming. 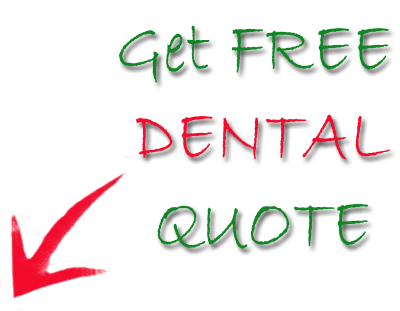 For more information on Dental Implant cost in Tijuana, you can contact us by filling the FREE quote form.